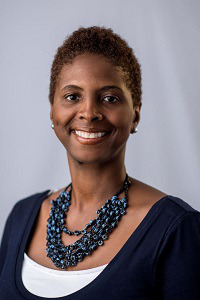 Dr. Dana A. Williams, chair of the Department of English and professor of African-American literature at Howard University, has recently been appointed as interim dean of the Howard University Graduate School. Prior to joining the Howard faculty, Williams was a Ford Foundation postdoctoral fellow at Northwestern University, a faculty fellow at the John Hope Franklin Humanities Institute at Duke University and is a previous president of the College Language Association – the largest and oldest professional organization for professors of color who teach world languages. Williams earned a bachelor’s degree in English from Grambling State University and a Master of Arts and doctoral degree in English from Howard University.